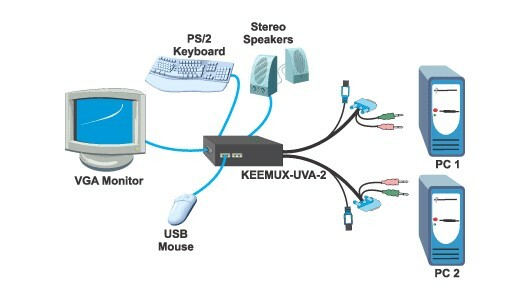 Access up to two USB-enabled computers from one keyboard, mouse, speakers, microphone, and VGA monitor. The KEEMUX-UVA-2 USB KVM + Audio Switch allows one user to access two USB computers with just one VGA Monitor, set of speakers, microphone, one USB or PS/2 keyboard, USB mouse, or other USB device. 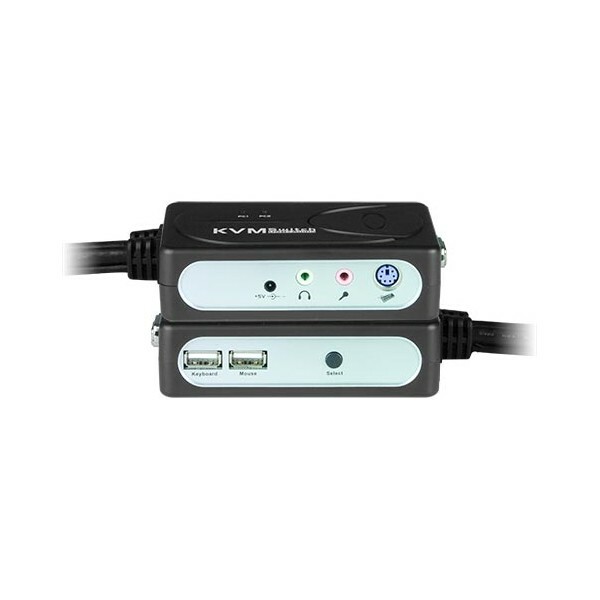 Built-in 3-port USB hub for USB keyboard, mouse and other devices (printer, scanner, etc). 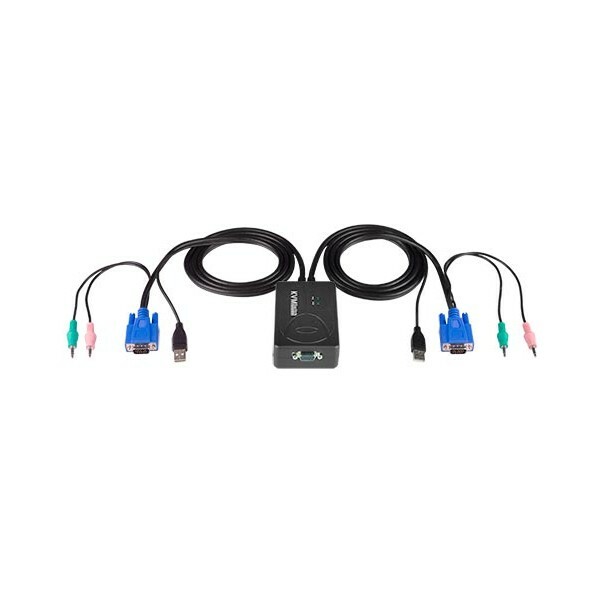 Supports USB or PS/2 keyboards. 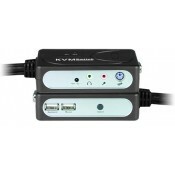 Built-in audio ports for switching of speakers and microphone on port selection. Hot-plug to add or remove connected computers without powering down the switch or computers. Front-panel push button, hot keys for port selection. Keyboard and mouse emulation for simultaneous host computer boot up. Two male 15-pin HD, two male USB Type A, two male 3.5mm (audio in / mic out) connectors on attached 4.6-foot cables. Multiplatform support: Dos, Windows 98SE/ME/2000/NT/XP/Vista, Netware, Unix, Linux, MAC. Supports resolutions up to 1920x1440 with no degradation. Three female USB 1.1 Type A connectors. One female 6-pin miniDIN connector for keyboard. Two female 3.5mm jacks (audio in / mic in). LEDs indicate currently selected port. Select port by pressing corresponding button. Hotkey commands for port switching. Auto Scan Mode feature sequences between each powered-on computer.